In this list, you can select from all of the layouts that have been published in the Design module of the current portal. 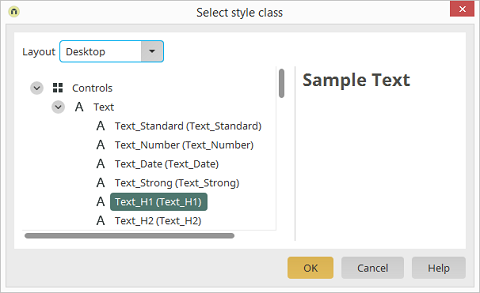 Select the required style class on the left-hand side of the dialog. You'll see a preview of the selected style class on the right.